You need to put this step on the top of your marketing list because it is the one of the best steps that helps you to increase sales but if you miss this step, your sales will suffer a lot. Thanksgiving and Black Friday are the biggest shopping days of the year and different eCommerce store offer the different discount to attract more customer to their website. The more targeted your approach, the better your impact will be on the customers. So encourage your customer to choose your store over your competitors. •	Are all discount and your latest offers clearly displayed on your website? •	Are you using social media channels like Facebook and Twitter for publishing offers? •	Are you going to pay for sponsored ads to enhance more visibility? Promote your offers at regular intervals because online market will be flooded with discounts at the time of festival season. If you don’t promote it properly then you will be lost in the rush. Social media is the great marketing channel to get more sales by reaching more audience. However, you can promote your upcoming festival on social media well in advance. Promoting on social media not only helps you to advertise your product but also customer gets excited or attracted to buy your products. In addition, you can ask your followers to share, like or comment on images, posts and competitions during the festival season and it will be considered more acceptable. However, with paid promotion you can target new audiences based on similar interest via paid tweets on Twitter and boosted posts on Facebook. This enables you to narrow down the field of your audience engagement and make sure that you are only targeting your ads at people who are likely to engage with them. When any shoppers visit your store they want some attraction so ensure that your website has some awesome design or banners that highlight your store’s exclusive, limited- time deals. If customers are unable to find any kind of ongoing sale then they leave your store immediately. Use graphic design according to the festival season. Start from the name of the campaign to the themed base design, clear and detailed information about products on sale, the banner created for the promotional purpose; ensure you have created everything with proper design to get maximum sales. In this way, you can attract customer by providing latest offers and by clear, precise and well-implemented marketing designs. Every customer wants some excitement so start countdown. The countdown is the way to engage, promote anticipation and excitement, leading to increased traffic and you will get more sales. Advertise your deals that more and more customer attracts to buy your product. For example, use the word like clock is ticking, Hurry, limited stock available, etc. and advertise your deals accordingly to ensure your Black Friday and Thanksgiving promote exclusivity and scarcity. Customers are much more likely to check out your store when they feel the shopping even is just on the horizon. If you are not offering free service then offer it during the holiday season and highlight till the end of the season. If you want to stay ahead from your competitors then free shipping service is great way to attract more customers. If you and your competitor sell the same thing but you provide free shipping and hassle free returns then you’ll win the sale. Free shipping motivates your customers as well as they enjoy shopping with shipping cost and spend more at your store rather than physical store. Show your customer appreciation with an easy method that’s sure to promote positive feedback and enhance your sales. Email is the best marketing tool that helps you to increase your holiday sales. In addition, email may be the best way for reaching customers because usually customers are regularly checking their inbox many times a day whether they are at work or at home. As an eCommerce company, you must have a good list of email subscribers with you, use that to promote your festival offer through mail. Make the proper decision to market this mass channel that highlight your Black Friday and Thanksgiving. Promote your sale in a manner that explains just why your sales are not to be missed. Once you have got your marketing plan put together you have to keep it organized properly. Also, send out follow-up emails to your customer and offer exclusive deal who have already placed an order on Black Friday or Thanksgiving? This way you will get more sales in unexpected ways. First of all, you need to ensure that your site is working optimally in all areas. Navigate your site, go through the checkout process and ensure that you have appropriate stock, latest products according to your festival sale. Make sure you have the responsive site and that works well. If shoppers are unable to navigate or checkout with ease they can easily leave your site elsewhere, especially on the most competitive shopping day of the year. It is the time of the year when customer have limited time and soon to expire flashy deals. Double-check your site on Black Friday and Thanksgiving so visitor will get smooth shopping experience. Black Friday and Thanksgiving is the busiest time for eCommerce storeowners. But you need to put in the work in order to get the biggest rewards. So follow these above steps and make your business on a high level. 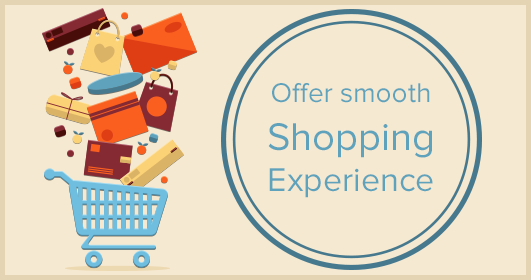 Are you doing anything to prepare your eCommerce store for holiday season? If so, then what? And if not, why? I would like to hear from you so share your experience with us in the below comment box. Jimit Bagadiay is a CEO of Creative Glance Technologies and Co-Founder of SocialPilot.co. He enjoys exploring new tools, writing on social media marketing practise and technology trends. Creative glance is fraud company. Management selected candidate for employment and at the day of joining management say we don’t afford ,every body knows which kind of problem face that time but this fraud company’s bad management don’t understand , if they don’t afford then why selected even they were talk at the day of joining.so don’t trust on creative glance. Hello Jimit,Nice to read your blog.Good Article regarding eCommerce websites.